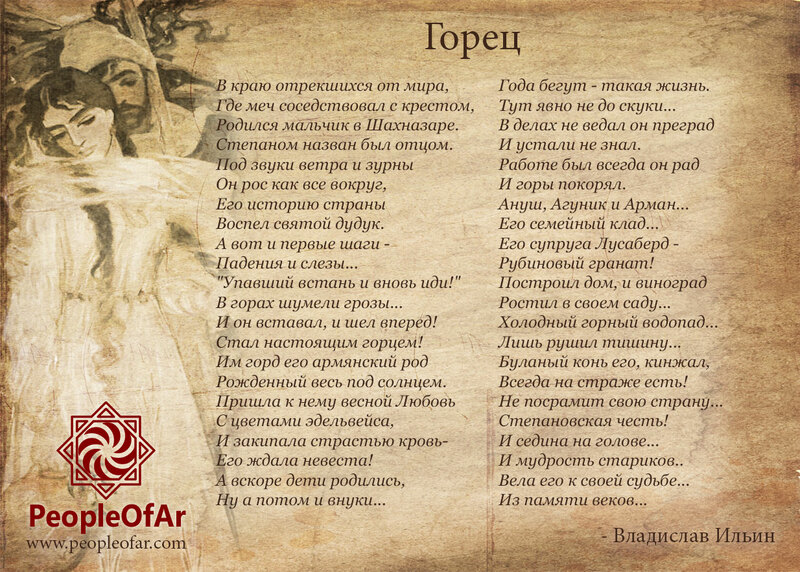 This is a wonderful poem about a life of an Armenian Highlander created by a Russian poet Vladislav Ilyin. It is in Russian only, so apologies to all the non-Russian speakers among us. If anyone is interested in translating it into English I’d be glad to publish it with all due credits. Especially if it is a good poetic translation. Вставал с трудом, но шел вперед! Года бегут – такая жизнь.